BZERQ is a DMHA-powered pre workout from Australia that’s looking to make waves soon in the U.S.
You may have noticed that we’ve had some pretty potent pre workouts populating the blog lately. Well the week is early, so here’s another strong pre workout power to get going! Today, we feature another upstart brand from Down Under that’s looking to make the jump to the big leagues very soon. AlphaOne Labs is a young company that’s got quite a knockout on their hands with their very first product, a pre workout called BZERQ. It includes DMHA, which is legal in Australia (whereas DMAA isn’t), so all of our Ozzies and Kiwis out there are sure to love this one!! See AlphaOneLabs.com.au for more info! Now let’s get to it – we’re going mostly for focus and energy here, but there’s also some pumps and endurance to discuss too. Long story short: High-energy pre with DMHA – CJ and the team love it! 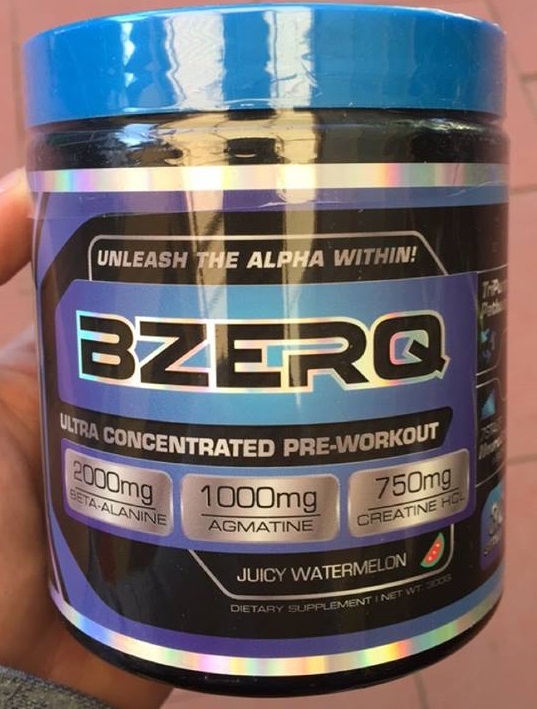 BZERQ has a semi-transparent label with the lone exception being “NeuroStim Matrix.” This is a common practice among most pre workouts as that’s the real magic or “kick” to certain products. 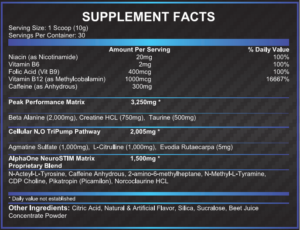 We’ve seen the actual breakdown, and it’s a doozy, unfortunately, the only piece we can share is the caffeine content which clocks in at a solid 300mg per scoop. If it’s energy and focus you want, BZERQ fits the bill with its potent blend of stims and nootropics to drive your workouts. Too often when working out for prolonged periods of time, your set is ended early because your muscle start to burn and you kill the set. Terminating sets early means there’s reps left on the table, ultimately stunting your gains. Beta Alanine fights the burn by helping beat back the burn your feel in your muscles by buffering the lactic acid that’s responsible for the burn in the first place. Once ingested, it binds to histidine and forms carnosine, the powerful intracellular buffer. Creatine HCl is one of the alternative, “trendier” forms of creatine that claims to have improved bioavailability due to its superior water solubility compared to creatine monohydrate. Whether it’s more bioavailable or not, remains to be conclusively proven, but creatine’s benefits in general are without question. But, to ensure you get the generally recommended 3-5g per day, you’ll need to add some bulk creatine either with your pre workout or some other time during the day to maintain your saturation. Creatine HCl has greater solubility than monohydrate which leads some to believe it doesn’t give the “bloat” that monohydrate does. Taurine is a conditionally essential amino acid that’s predominantly stored in the brain, heart, and skeletal muscle of the body. In skeletal muscle, it helps draw in nutrients and water into muscle cells. Additional water in the muscle helps improve hydration levels which translate into improved endurance, reduced DOMS, as well as “water-based” pumps. 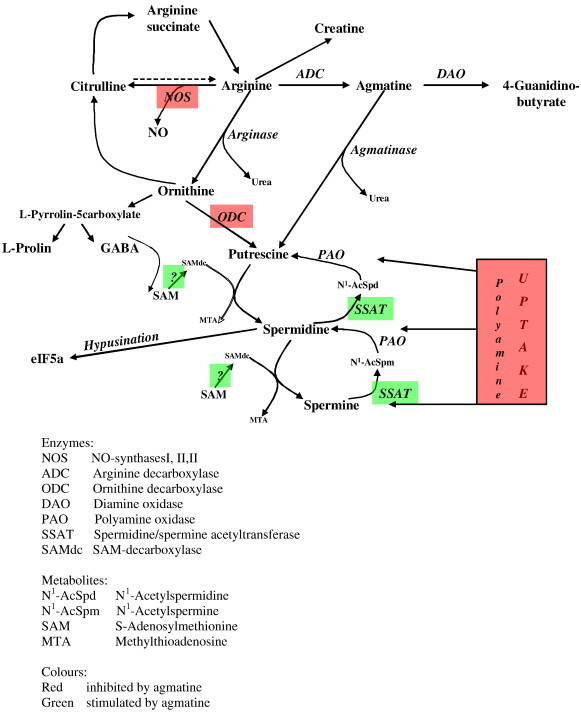 To start off the Pump Pathway trifecta we have a strong 1g dose of Agmatine. 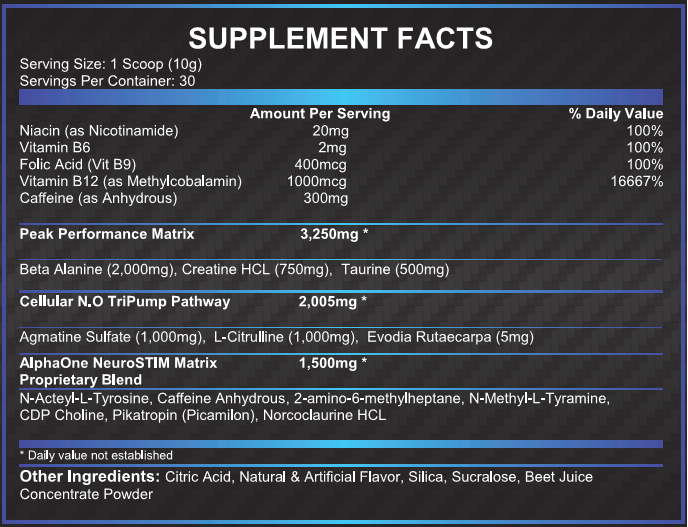 Usually if a pump blend, you’re lucky if you get 750mg of this powerful N.O. extender — we usually see just 500mg. BZERQ, however, gives you a full gram to sustain your pumps throughout your workout. By a pump “extender,” we meant that Agmatine helps prolong, or extend, Arginine’s life in the body. 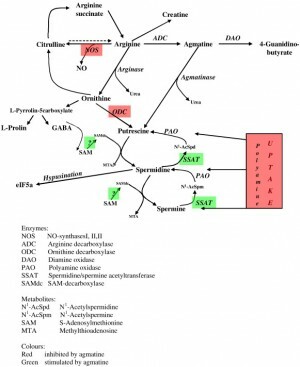 It does so by inhibiting arginase, the enzyme responsible for breaking down arginine. When used alongside a potent nitric oxide booster like L-Citrulline, our next ingredient, you’ll experience significantly longer lasting and denser pumps in addition to improved circulation, increased vasodilation, and greater endurance. L-Citrulline is a nonessential amino acid that’s been proven to be more effective, and more bioavailable, than the old pump-enhancer L-Arginine. [10,11] This means L-Cit is more effective at increasing N.O. levels which translates into better blood flow, improved vasodilation, and bigger pumps! Greater blood flow also maintains a fresh supply of nutrients to your working muscles and helps remove metabolic waste, which ultimately helps enhance endurance as well. Now, typically we want to see 3-4g of Citrulline to really see some pronounced pumps; however, with the 1g of agmatine this should still provide a solid base for getting some decent pumps during your workouts. BZERQ is the first product from AlphaOne Labs, and it’s a doozy! What else do they have in the works? Evodia Rutaecarpa is a fruit bearing plant traditionally used in Ancient Chinese medicine for its thermogenic qualities. The berries were consumed both to help warm the body as well as reduce pain and GI distress. Commonly, we see evodia extracts included in fat burners due to their ability to stimulate the vanilloids in your body, which help reduce fat uptake by cells. However, evodiamine also suppresses circulating levels of caffeine in the body. [13,14] This helps to smooth out the stim kick from caffeine, which if you’re at all stim-sensitive, you’ll be thankful for this ingredient due to the 300mg of caffeine contained in BZERQ. Finally, evodia extracts also improve cognition, which will enhance all aspects of our next blend of ingredients. Caffeine increases energy expenditure by roughly an extra .15 calories per minute. Not huge, but we’ll take it! Focus is one of the most important aspects of a workout. Without it, you’re likely to just go through the motions without getting much benefit at all from your workout. To ensure your prepped and ready come workout out time, BZERQ contains the powerful focus-booster, N-Acetyl-L-Tyrosine (NALT). There’s not much to be said about caffeine that most don’t already know. It’s the “everyman’s stim” and can be found just about anywhere these days from pre workouts to energy drinks to bottled water even! Caffeine helps increase your energy, motivation, focus and endurance, it’s great for just about everything, well except maybe sleep, for some. Science confirms it. 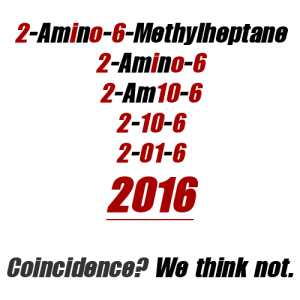 2016 is the year of 2-Amino-6-Methylheptane! The knockout stimulant of 2016 that everyone’s been raving about is 2-amino-6-methylheptane, a.k.a. DMHA. It goes by a few other names, which you can read about in our in-depth DMHA write up. As for what it is, DMHA is a type of aliphatic amine, similar to the incredibly popular DMAA, that can be found in nature. DMHA significantly increases energy and focus which will set the stage for some of the best workouts you’ve ever had. We honestly love this ingredient for its focus enhancement as well as its noticeable mood elevation that lasts for several hours following our workouts. This is very well THE reason why you’re going to want to try BZERQ – but there’s still a few surprises left! N-Methyl-L-Tyramine (NMT) is beta-2 adrenergic agonist in the body that stimulates the “fight or flight” response. It helps cultivate fatty acids for energy and increases adrenaline production. Interestingly enough, studies give evidence that NMT is approximately 1/140th as potent as adrenaline, meaning you’ll be pretty amped up come workout time. We’ve already got a solid boost in focus from NALT that we talked about above, but to further enhance your frame of mind, BZERQ also includes CDP Choline, the king of all choline forms. CDP Choline (citicoline) is the most bioavailable form or choline, meaning the body absorbs it much better than other forms like choline bitartrate. Choline supplements improve memory and the all too important “mind-muscle” connection when working out. This helps give you the “locked in” feeling you want when going through set after set of longer workouts. Pikatropin, a.k.a. Picamilon, is fusion of GABA and niacin that’s been deemed as a nootropic by the U.S. National Library of Medicine. It’s been clinically proven to improve short term memory and learning,[24,25] which may be attributed to its unique ability to enhance blood flow to and from the brain. If BZERQ does make it stateside, this particular ingredient will have to be tweaked in some way, either replaced or broken out separately into Niacin and GABA, due to the FDA’s recent ban on the ingredient – much to American supplement users’ dismay. 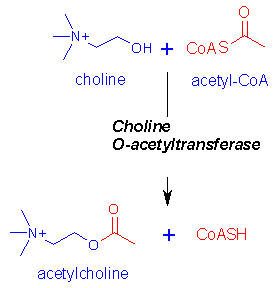 Norcoclaurine, a.k.a. Higenamine, another beta adrenergic like NMT.27 Similar to the NMT, norcoclaurine also boosts production of noradrenaline, which further heightens the “fight or flight” response culminating in laser focus and greater concentration during your workouts. For the time being, BZERQ is only available in Australia and comes in just one flavor: Juicy Watermelon. However, we’ve been told by the guys in charge at AlphaOne Labs that two other flavors: Cotton Candy and Blue Raspberry, are currently being tested and will be released shortly. BZERQ has no artificial colors, either (at least not in their Juicy Watermelon flavor that we have here). They’re using beet root extract for the red color, so if you have any allergies to fake coloring agents, you’re going to be better off here. The sweetener is sucralose, so it’s not a 100% “natural” product, but nothing beats sucralose for sweetening right now. We just appreciate the natural coloring lately. As for a domestic release, BZERQ is currently expanding in Australia and is looking to come to the States relatively soon. Don’t be surprised if you see it available on Amazon in the not too distant future… but it might need a tweak to that formula due to the unfortunate Picamilon situation. What else do they have in the works? The real magic to BZERQ will be in its rather potent stim blend that’s certain to give you the energy, motivation, and focus needed to get in the gym and crush some iron. If you’re an experienced supplement user in Australia or New Zealand and you haven’t tried DMHA yet, it’s time to give it a go, and BZERQ is a super fine option. We’ve got a few units headed our way courtesy of AlphaOne Labs and will be able to give you a detailed walkthrough on just what to expect when it gets a domestic release. 2 Comments | Posted in New Brands, New Products, Supplement News | Tagged 2-Amino-6-Methylheptane, Agmatine Sulfate, AlphaOne Labs, Beet Root Extract, Beta Alanine, Caffeine, CDP Choline, Choline, Creatine, Creatine HCl, DMHA, Evodiamine, Higenamine, L-Citrulline, N-Acetyl L-Tyrosine, N-Methyl Tyramine, NALT, Nitric Oxide, Nitric Oxide Supplements, Norcoclaurine, Picamilon, Pikatropin, Pre Workout, Pre Workout Supplements, Taurine.